An amazing set of icons that my sweetheart drew for us that shows us repping the best team out there. 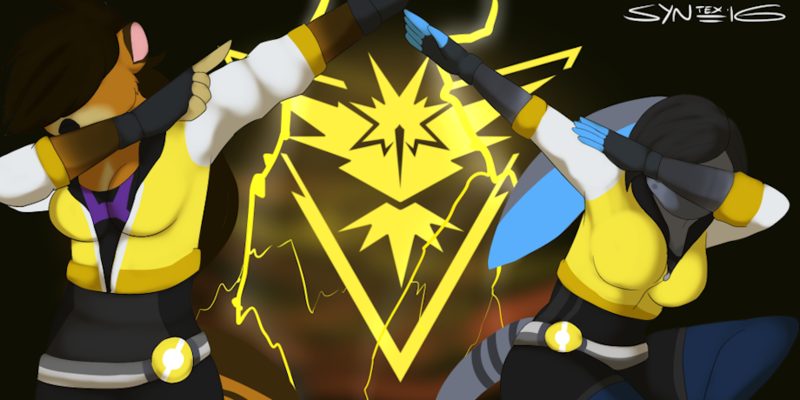 We chose this team way before the whole meme thing started.. but it just shows we chose the right one :x.
I love this so much you have no idea, never did I think i'd see sasha or nisa in a pose like that.. it's just perfect xD. Thank you so much for drawing this for us sweetheart!